This is the third time MVP Ståle Hansen talks at TehcDays Sweden. Last year his session was about Skype Meeting Broadcast. This year he will share his understanding on how Microsoft Teams uses Office 365 Groups to connect to all the different services in Office 365. This is a level 400 session so expect to dive under the hood on how this works. So you have started using Microsoft Teams? Want to understand how exactly Office 365 Groups are used? Join MVP Ståle Hansen as he draws a diagram of how, where and when Office 365 Groups are used and how it can be administered with PowerShell. You will leave the session understanding this complicated relationship with Office 365 Groups with SharePoint, Skype for Business, OneDrive and Exchange. 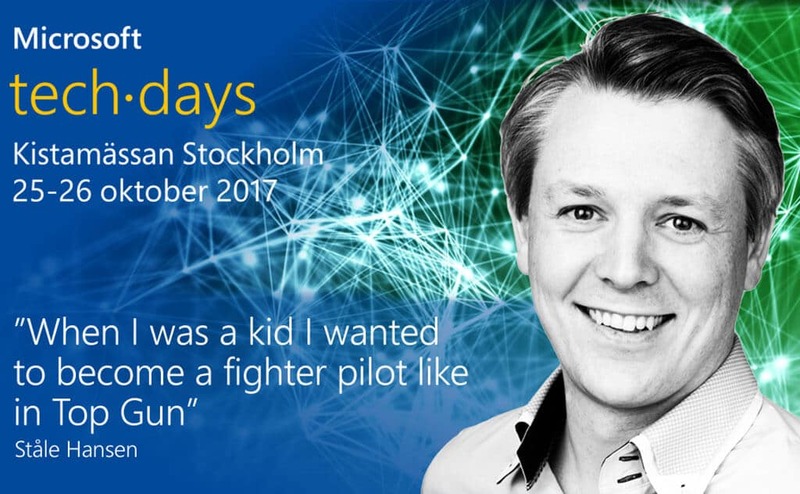 TechDays is the largest Microsoft conference in Sweden for IT-Pro, developers and Business Decision Makers. This is a two day event plus an optional pre-day with deep-dive workshops. This is where you get to learn what’s new, how it works and how others have succeeded with Microsoft technology.